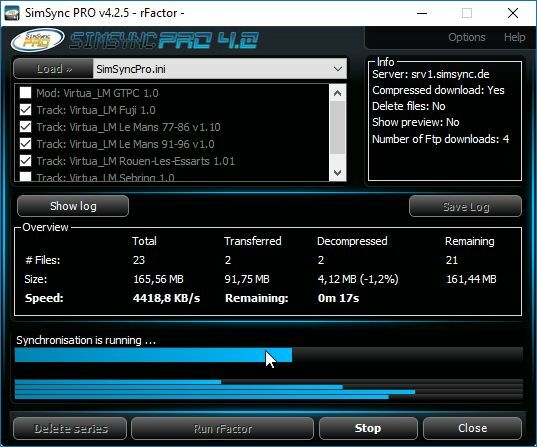 We have just released SimSync PRO 4.2.6 to the public. Some users had an issue with rFactor 2 files not being deleted. This happend because the file “data.path” in the core folder of rFactor2 contained only a relative path or a . (dot) only. Another issue broke the “Save as” feature of the “Preview filelist” window. This has also been fixed.